The New York Yankees visit Comerica Park on Tuesday, August 22, 2017 to play the Detroit Tigers. The probable starters are Masahiro Tanaka for the Yankees and Matt Boyd for the Tigers. The opening line for this matchup has New York at -163 and Detroit at +153. The Yankees have a 62-58-3 over/under record and a 65-58-0 run line mark. The Tigers are 58-65-0 against the run line and have a 66-51-6 over/under record. The Yankees have a 66-57 overall record this season. Starting pitcher Masahiro Tanaka has a 8-10 record with an earned run average of 4.92 and a WHIP of 1.28. He has 141 strikeouts over his 133.2 innings pitched and he's given up 138 hits. He allows 9.3 hits per 9 innings and he has a FIP of 4.65. The bullpen has an earned run average of 3.34 and they have given up 318 base hits on the year. Teams are hitting .206 against the bullpen and they've struck out 486 hitters and walked 171 batters. As a team, New York allows 8 hits per nine innings while striking out 9.5 batters per nine innings. They are 5th in the league in team earned run average at 3.84. The Yankees pitchers collectively have given up 973 base hits and 470 earned runs. They have allowed 143 home runs this season, ranking them 22nd in the league. New York as a pitching staff has walked 384 batters and struck out 1,157. They have walked 3.1 men per 9 innings while striking out 9.5 per 9. They have a team WHIP of 1.23 and their FIP as a unit is 3.88. As a team New York is hitting .259, good for 11th in the league. The Yankees hold a .439 team slugging percentage and an on-base percentage of .335, which is good for 7th in baseball. They rank 8th in MLB with 9.0 hits per game. Aaron Judge is hitting .282 with an on-base percentage of .413. He has 120 hits this season in 425 at bats with 80 runs batted in. He has a slugging percentage of .593 and an OPS+ of 158. Brett Gardner is hitting .256 this year and he has an on-base percentage of .347. He has totaled 116 hits and he has driven in 52 men in 454 at bats. His OPS+ is 104 while his slugging percentage is at .438. The Yankees have 1,104 hits, including 202 doubles and 178 home runs. New York has walked 463 times so far this season and they have struck out 1,103 times as a unit. They have left 902 men on base and have a team OPS of .775. They score 5.12 runs per contest and have scored a total of 630 runs this year. Detroit has a 54-69 overall mark this year. With an earned run average of 5.70, Matt Boyd has a 5-6 record and a 1.69 WHIP. He has 71 strikeouts over the 90 innings he's pitched. He's also given up 114 hits. He allows 11.4 hits per nine innings and his FIP stands at 4.63. The bullpen has an earned run average of 5.35 and they have given up 394 base hits on the year. Teams are hitting .266 against the Tigers bullpen. Their relievers have struck out 336 batters and walked 170 opposing hitters. As a team, Detroit allows 9.6 hits per nine innings while striking out 7.6 batters per nine innings. They are 29th in the league in team earned run average at 5.04. The Tigers pitchers as a team have surrendered 1,157 base knocks and 606 earned runs this season. They have given up 163 home runs this year, which ranks 11th in Major League Baseball. Detroit as a staff has walked 404 hitters and struck out 914 batters. They give up a walk 3.4 times per 9 innings while they strike out 7.6 per 9. Their team WHIP is 1.44 while their FIP as a staff is 4.65. As a team, they are batting .260, good for 9th in the league. The Tigers hold a .428 team slugging percentage and an on-base percentage of .331, which is good for 12th in baseball. They rank 10th in MLB with 8.9 hits per contest. Justin Upton comes into this matchup batting .282 with an OBP of .366. He has 120 hits this year along with 90 RBI in 425 AB's. He maintains a slugging percentage of .546 with an OPS+ of 140. 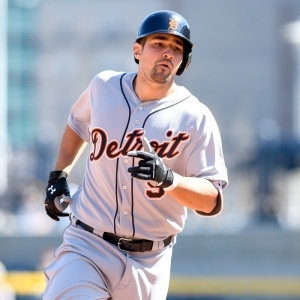 Nicholas Castellanos is hitting .246 this season and he has an OBP of .306. He has collected 115 hits in 468 at bats while driving in 68 runs. He has an OPS+ of 95 and a slugging percentage of .434. The Tigers as a unit have 1,095 base hits, including 225 doubles and 144 homers. Detroit has walked 420 times this year and they have struck out on 998 occasions. They have had 852 men left on base and have an OPS of .758. They have scored 4.8 runs per game and totaled 590 runs this season. Who will win tonight's Yankees/Tigers MLB game against the spread?